How do I link my OKEx account? 5) You will be prompted with a form. Enter a 'Display Name', and 'Passphrase' For your security, the passphrase should contain, upper and lowercase characters, numbers, and special symbols. Make sure you write down your passphrase in a secure location. 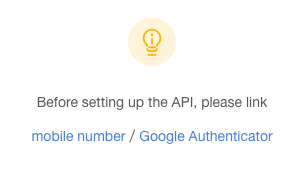 9) Take note of your API Key, and your Secret Key. Enter them along with your passphrase and click "NEXT"